We could circumvent this error by pre-creating this registry key and adding Modify permissions to it. However this presents us with a new issue in multi-user environments such as XenApp: if one user actives this setting, it is activated for all users on the same server. That’s why I figured that redirecting this particular registry key from HKLM to HKCU would be the best solution. 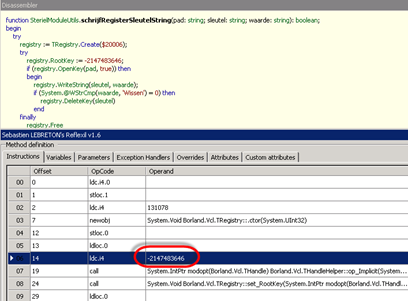 I first tried the VirtualRegistry but even though AcLayers.dll was on stack right before the call to RegCreateKeyExW the redirection didn’t work. Time to bring in other tools! Regular readers probably expect me to launch Ida Pro now but I saw that mscorwks.dll was on stack in the Process Monitor trace. 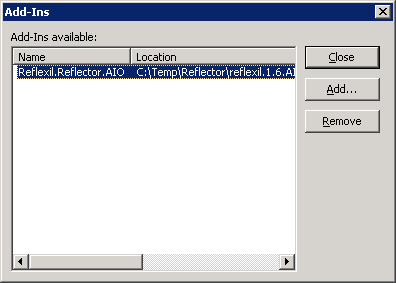 This means that we are dealing with a .NET application for which .NET Reflector is a better choice. But before starting Reflector I needed to know what file(s) I needed to analyze. I used Total Commander, one of my favourite tools, to search for the word TransponderLezer since this is the registry value that contains the com port number. Note that choosing the same language as the application was built in is not required. 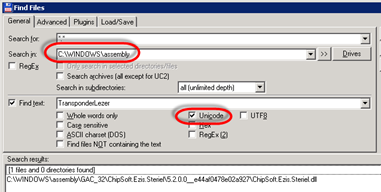 Since .NET code is compiled to intermediate code (IL) you could also select C# or VB.NET. However I think that selecting the original language might make it easier to read code that calls into the language’s RTL. 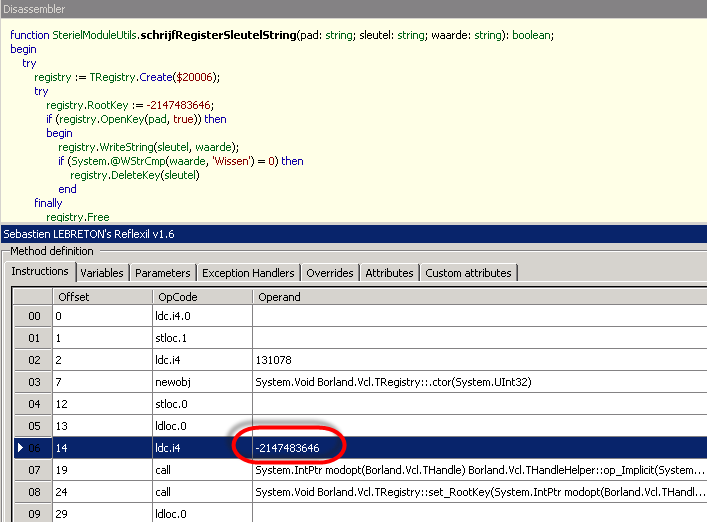 So if we edit this value to the constant value of HKEY_CURRENT_USER we have redirected the registry key from HKLM to HKCU. After adding it, choose Tools | Reflexil 1.6 to open Reflexil’s view. Select the line you want to edit, in my case line 06. 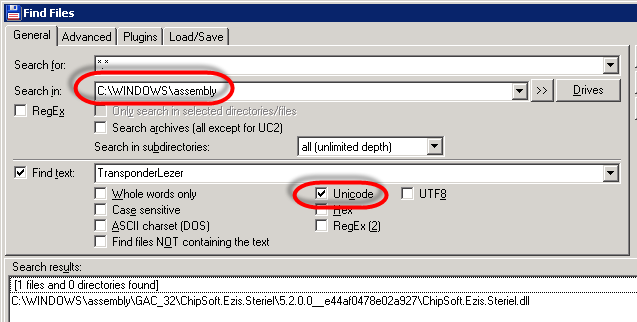 Press update and make the same change to the read function which is called leesRegisterSleutelString. It’s a good idea to check if other parts of the code are calling into these functions. You can do this by Right-clicking on the function in the left tree view and selecting Analyze. 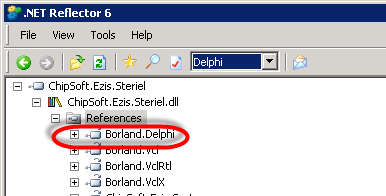 Finally we can save the modified executable to disk by Right-clicking on the file in the left treeview and selecting Reflexil | Save As. Usually I end my blogs with a sentence like: and that fixed it! However now that the scale is working, testers have reported issues when they roam their XenApp session to another pc. If the application is connected to the scale and the session is reconnected to a client pc without scale the application presents an error message which is acceptable. But when you later on reconnect to a client with an attached scale the application crashes. So in the end this fix did not go into production, not even as temporary workaround. We are going to contact the vendor and request a fix for both issues.